At its annual Métis Day celebration, Fort McKay Métis leadership recognized MLT Aikins for contributions made by the firm during the 2016 wildfires. During the devastating wildfires, residents of Fort McMurray were evacuated, and due to highway closures many were forced north to the small hamlet of Fort McKay. Fort McKay community members accommodated hundreds of stranded evacuees over a two-week period until they could be air-lifted out to larger centres. In Fort McKay, there are no amenities such as grocery stores and banks. 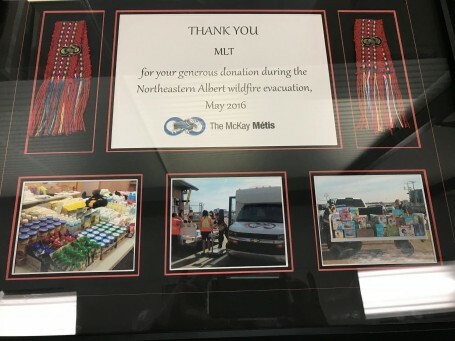 Donations made by MLT (legacy firm of MLT Aikins) helped to purchase necessities that were then airlifted into the community. 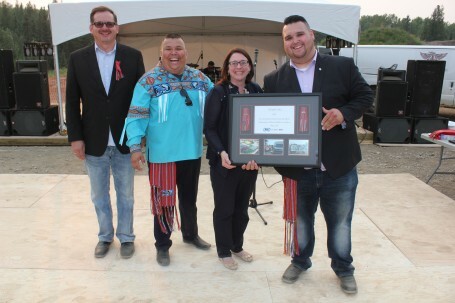 In August 2018, lawyers from the MLT Aikins Aboriginal group, Meaghan Conroy and Drew Lafond, attended the community’s annual Métis Day festivities, where the firm was acknowledged during the opening ceremonies and presented a plaque in recognition of our contribution. Fort McKay is located along the banks of the Athabasca River in the Regional Municipality of Wood Buffalo north of Fort McMurray. Located in the heart of the oilsands, the community has faced unprecedented changes over the last 30 years that have brought both opportunities and challenges. 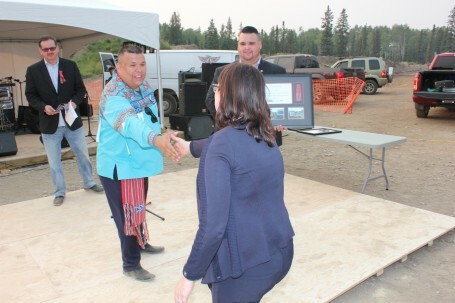 Its members have a mixed ancestry that includes French, English, Cree, Dene and Métis heritage with close ties to members of the Fort McKay First Nation. On May 1, 2016, a wildfire began southwest of Fort McMurray, Alberta. On May 3, it swept through the city, forcing the largest wildfire evacuation in Alberta’s history, with more than 88,000 people forced from their homes. The wildfire destroyed approximately 2,400 homes and buildings. Another 2,000 residents in three communities were displaced after their homes were declared unsafe for reoccupation due to contamination. With an estimated damage cost of $9.9 billion, it was the costliest disaster in Canadian history. The fire spread across approximately 590,000 hectares (1.5 million acres) before it was confirmed to be under control on July 5, 2016, and fully extinguished on August 2, 2017.